With so many international flight options now available to South Africans, particularly those in Johannesburg and Cape Town, local travellers now have the opportunity to explore all corners of the world – and what better way to create cherished memories this Valentine’s Day than with a romantic excursion to the many picturesque attractions of Switzerland. 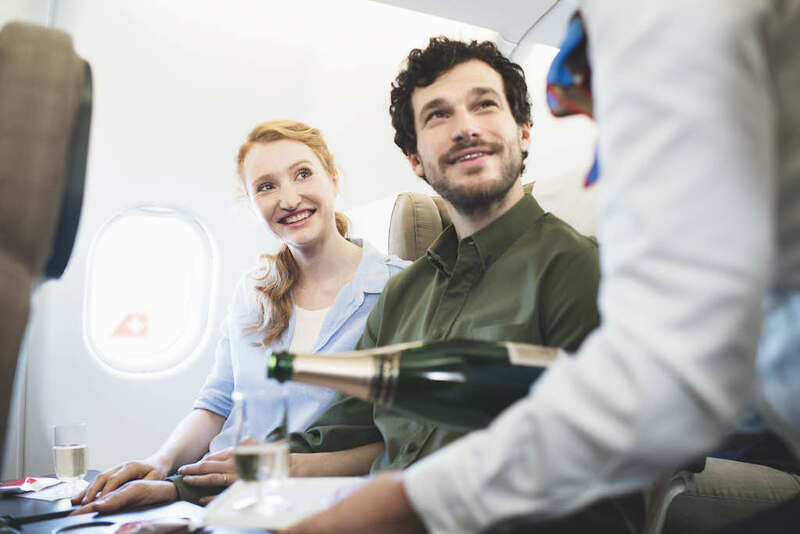 Andre Schulz, General Manager Southern Africa for Lufthansa and SWISS shares that Switzerland is simply one of the best places for those wanting exquisite experiences that will create lifelong memories. he told us that Switzerland is a phenomenally beautiful country, and that whether its roaming the cobblestone high streets of Zurich, skiing down the Alps, visiting iconic mountain tops, running in pasture fields, indulging in the world’s finest chocolate, or taking a day trip to magical castles or lakes, those wanting a romantic Valentine’s Day will have so much choice. With direct flights departing from Johannesburg and Cape Town, travellers can leave South Africa in the evening and wake up in Zurich, Switzerland refreshed and ready to start exploring the country immediately. 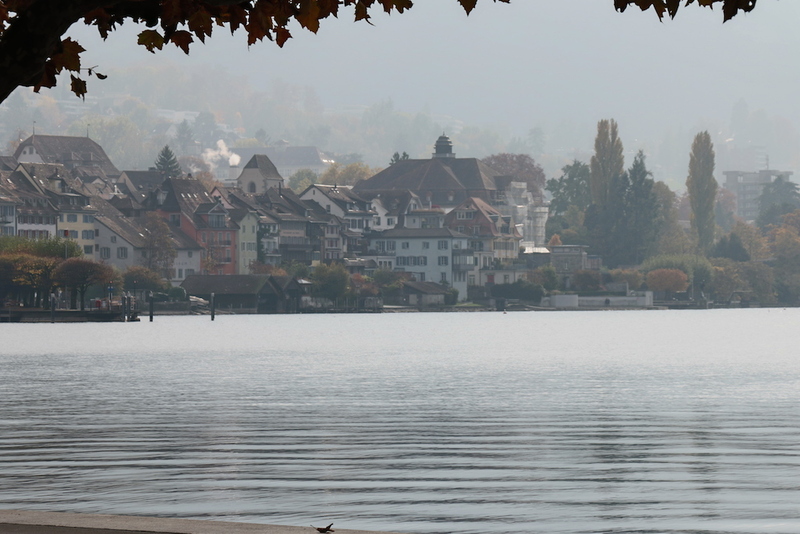 Lake Zug is the 10th largest lake in Switzerland and lies at the heart of Central Switzerland in the cantons of Zug, Schwyz and Lucerne. Nestled in an enchanting landscape of gently rolling hills, this beautiful region offers a wide range of hiking, cycling and skating options. All of these can be perfectly combined with a romantic culinary excursion on Lake Zug, for example on the Sushi Cruise, the Dessert Cruise or the Crêpes Cruise. Bern, being the capital city of Switzerland, with its cobbled streets and medieval architecture is “perhaps the most immediately charming” Swiss city. 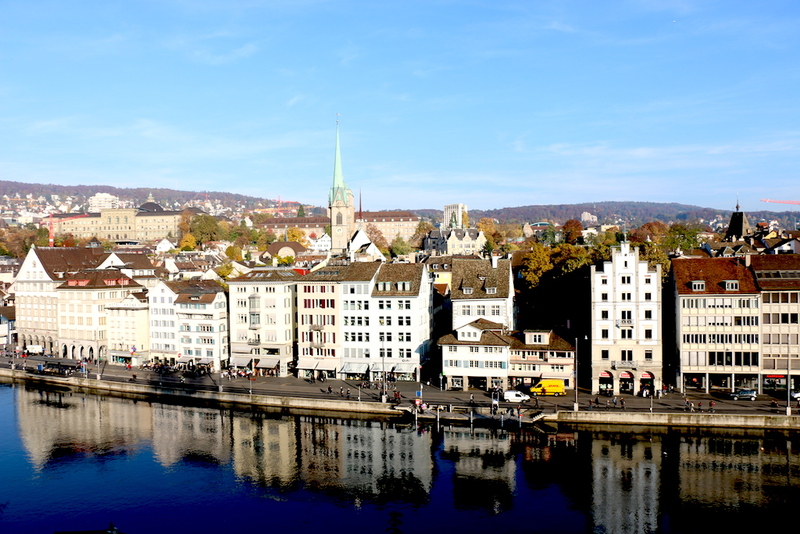 The Swiss capital and home to the parliament overlooks the views of the Bernese Alps and rooftops of the Old Town, which are said to be the most beautiful (and romantic) in Europe. 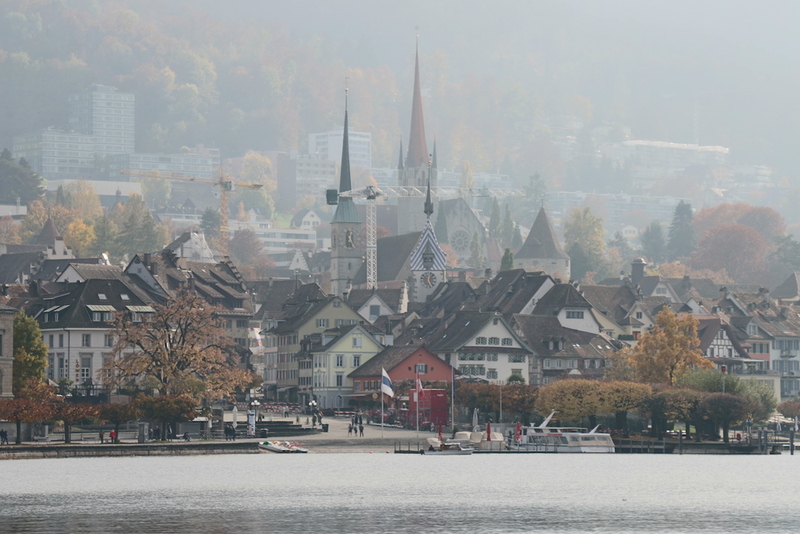 History and art enthusiasts will appreciate the small but interesting Einstein museum as well as the gothic “Münster” Cathedral, which has the highest spire in Switzerland and is recognized by UNESCO. 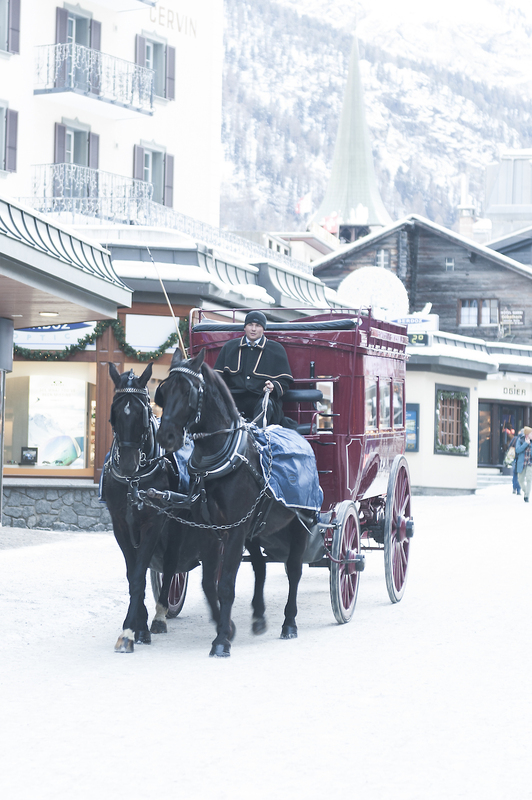 Overwhelming and mystical, the ancient fairytale Swiss village of Zermatt will lovingly accompany you throughout your romantic escape. 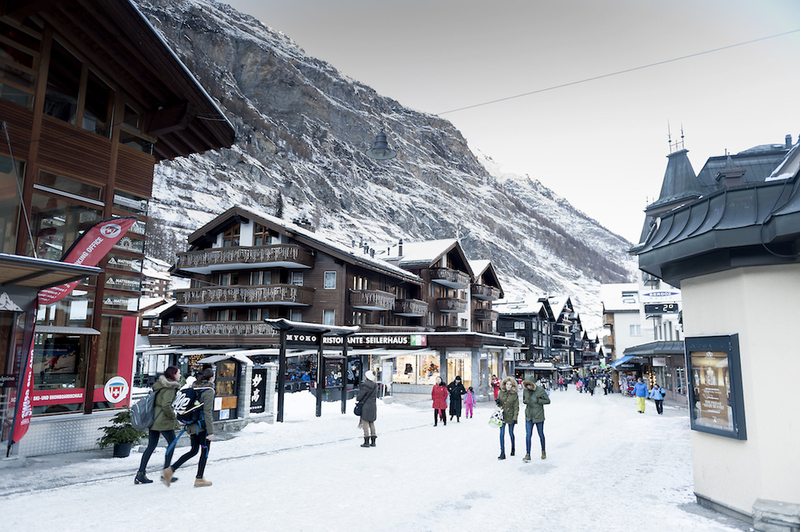 Romance in Zermatt can be found in many types of dining spots from village cafes to hillside restaurants with traditional dishes and large sunny terraces such as Findelhof or Zum. There is the Gitz-Gädi for rustic atmosphere, The Time Out Sportsbar & Grill for sporting events and The Schwarzsee Restaurant with live music daily. A romantic excursion that will also add to the passion is snuggling up during a 33 minute ride in the Gornergrat train, Switzerland’s first electric rack railway (built in 1898) and Europe’s highest open air railway to the Kulmhotel Gornergrat, situated at over 10’000 ft altitude. The Matterhorn Mountain is situated in the Pennine Alps in Switzerland, and overlooks the small town of Zermatt. 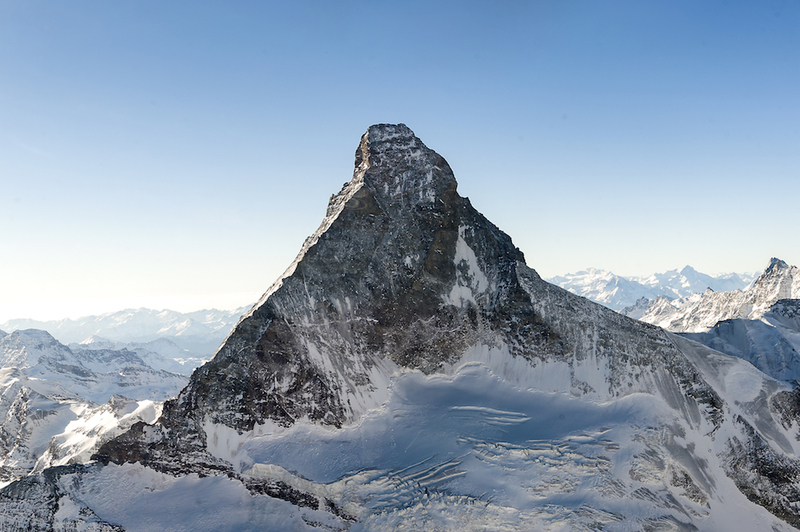 Matterhorn is a pyramidal shaped colossus, standing at a skyline dominating 4478 metres, the roughly chiseled rock pyramid of the Matterhorn serves as a defining geographical landmark – after all, it was made internationally recognizable by the Toblerone chocolate. 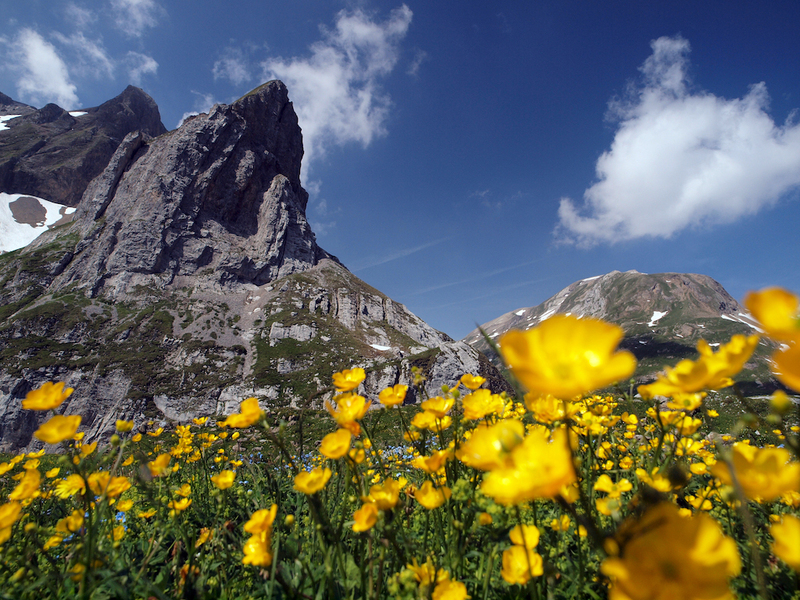 With a near perfect triangle, its absolute symmetry defines the exquisite nature of this beautiful mountain. Devouring pieces of Toblerone chocolate as you climb through the Matterhorn Mountain is the combination of scenic beauty, wonderful taste, and an exceptionally romantic experience. 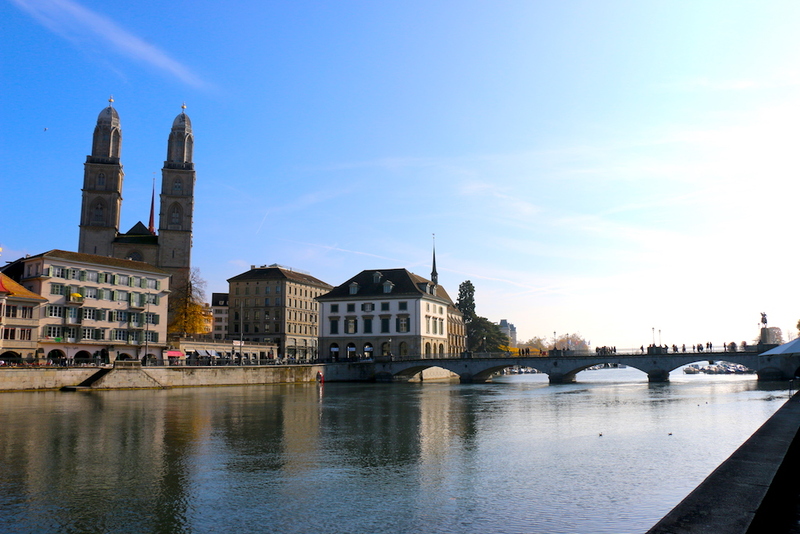 Zurich being the largest and oldest city in Switzerland, located at the northwestern tip of Lake Zurich, is a destination for nature lovers who enjoy finer things in life in a relaxed atmosphere. 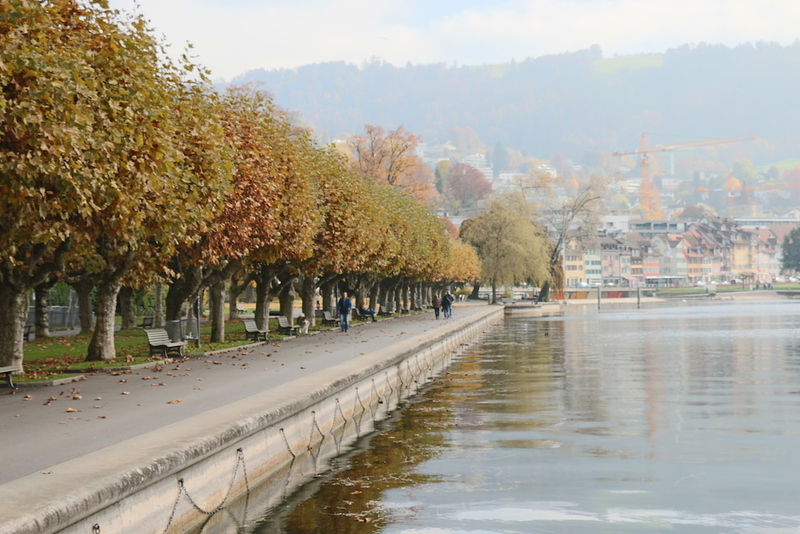 Visitors in the city can enjoy over 500 km of hiking trails, more than 250 km of biking routes, and embark on romantic walks around lake Zurich. 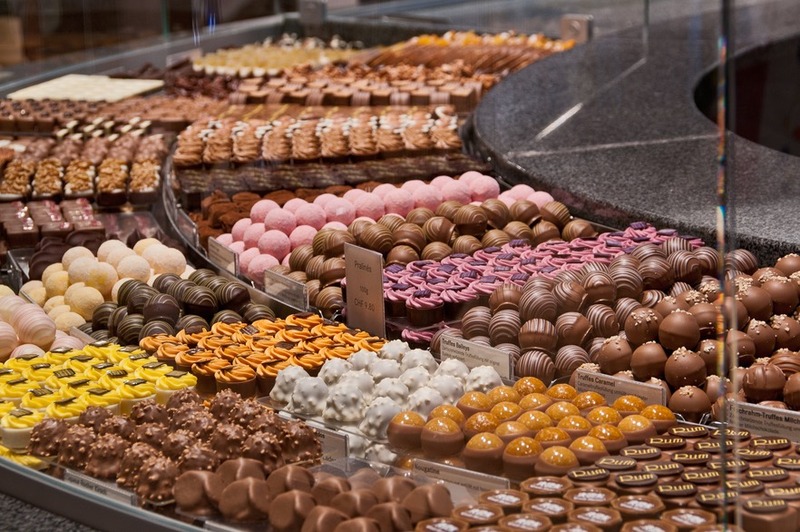 Those looking for the ultimate chocolate experience could take a tour at some of the renowned chocolate stores such as Sprungli or Läderach. 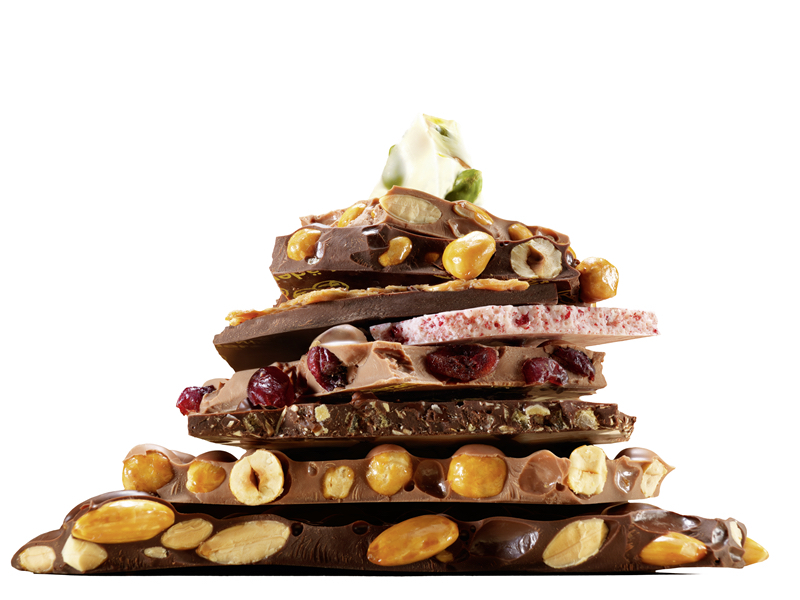 The city is overflowing with coffee and chocolate shops with ample tasting opportunities for the romantic sweet tooth. 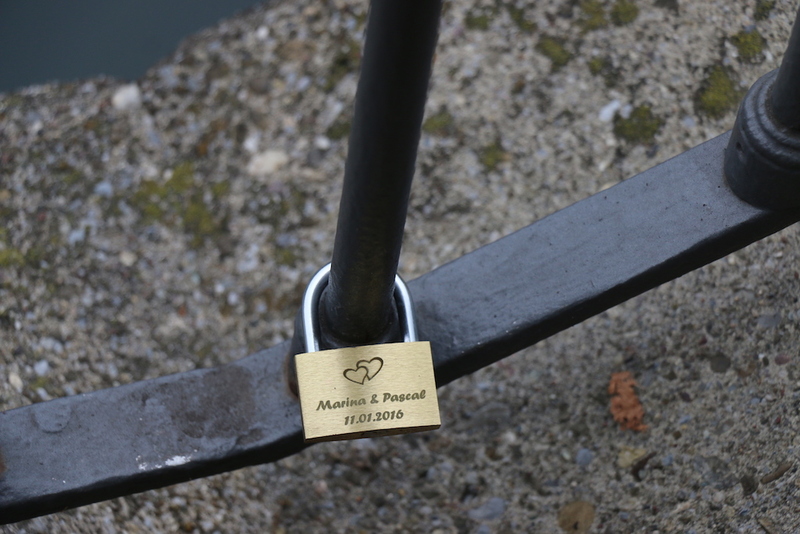 There is so much more, visitors can also enjoy activities such as carriage rides over the Gotthard, and steam engine rides over the Furka Pass, as well as leave ‘love padlocks’ on the Muhlesteg footbridge. But, Schulz also says that the Valentine’s Day experience happens long before you arrive in Switzerland. Travellers on SWISS are able to celebrate a special occasion with the SWISS onboard delivery service, which offers award-winning champagne from the family owned winery Duval-Leroy, as well as ultimate indulgence in Swiss chocolate truffles by Praliné Scherrer, St. Gallen made from recipes handed down over generations. Classic. Exceptional. Luxurious. Hugo Boss – The Collection is here.